If you recall from a previous post, I found this little funky white thing at a garage sale for ten cents! 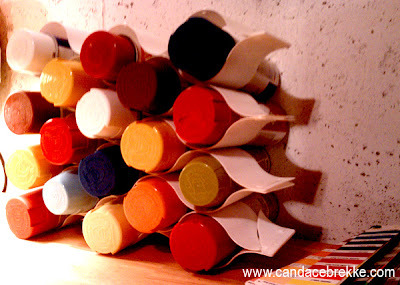 (apparently it's a sock separator for your drawer) It is now being used to house some colorful spray paint in my studio. I love the pop of color the different caps create. What do you think?